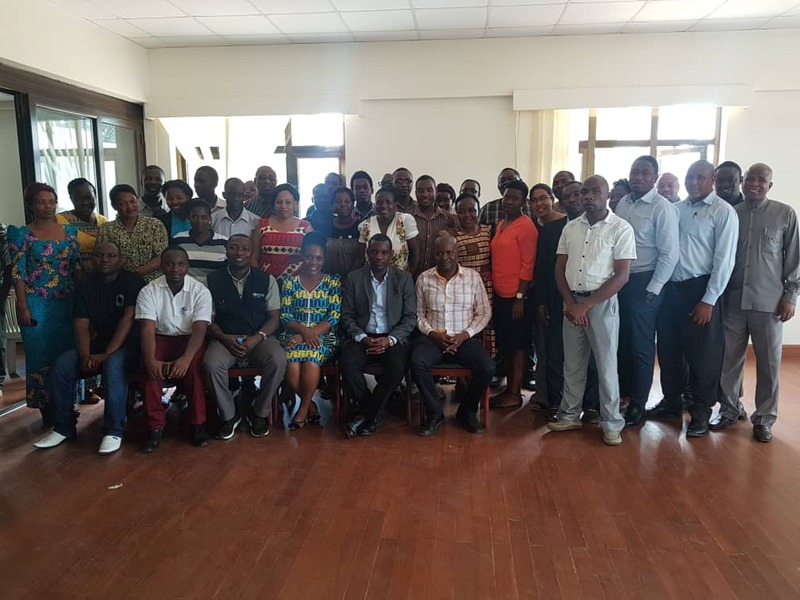 8 - 10 October 2018, Mwanza: In this three-days intensive Case Management and Infection Prevention and Control (IPC) training, organised jointly by the Ministry of Health Community Development, Gender, Elderly and Children (MOHCDGEC) and the World Health Organization (WHO), 35 healthcare workers from the three highest risk regions, Kigoma, Kagera and Mwanza, were assembled at the Bugando Medical Centre in Mwanza. Participants included clinicians, nurses, health officers, and ambulance attendants. The training was interactive with the use of power point presentations, group work, case scenario-based demonstrations and table top exercises. 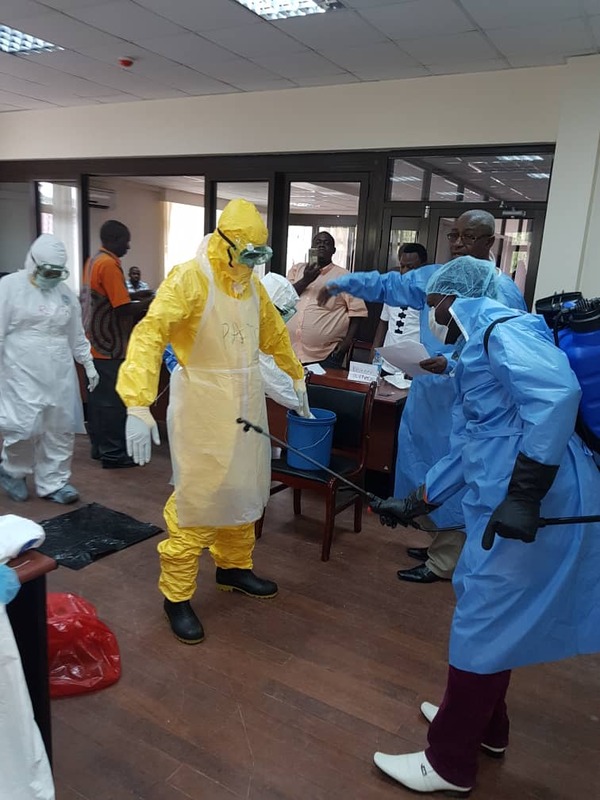 It fulfilled the operational readiness of Tanzania, in Case management and IPC, for any spill over of Ebola Virus Disease (EVD) cases from the current 10th Ebola outbreak in the Democratic Republic of Congo (DRC). In his opening remarks, the Mwanza Regional Medical Officer, Dr Thomas Rutachunzibwa, thanked the MOHCDGEC and WHO for their timely and crucial EVD capacity building intervention, urging participant to seize and make best use of the opportunity adding that “ Health care workers are our frontline soldiers and the recent MV Nyerere ferry disaster, which claimed about (227) lives, has taught me that all disasters have health consequences". He closed his remarks by requesting that the training be cascaded to sub-regional levels. The WHO consultant, Dr Lawrence Ofori-Boadu, explained that a key lesson from the West African Ebola Outbreak is that the number of people who die of Ebola can be significantly reduced when general supportive care is promptly provided to EVD patients, and hence the need for case management teams that are operationally ready. While echoing the views of other participants, Dr Andrew John said “I deeply appreciate this opportunity and I feel very confident now to attend to EVD suspects or cases and I feel ready and able to give a helping hand to the response in DRC. I request that refresher trainings be provided to us on a regular basis to maintain our response readiness”. 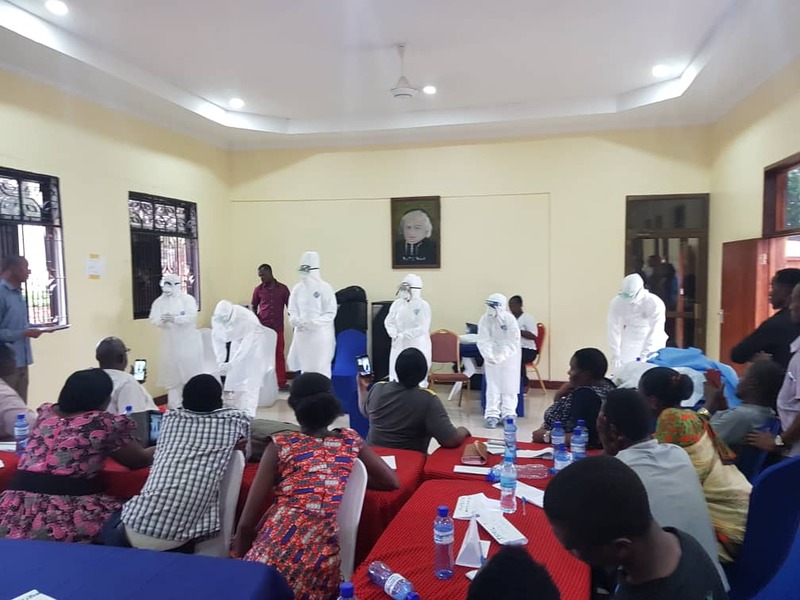 WHO continues to support the Ministries of Health in all nine countries neighbouring the DRC in their EVD preparedness work, providing both technical expertise and financial help as it monitors and responds to the outbreak in the North Kivu and Ituri provinces in DRC. It does so by use of country specific contingency plans and preparedness checklists.